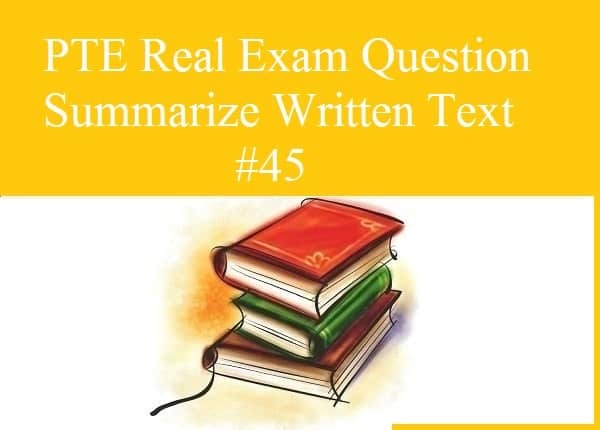 PTE Mock Test Summarize Written Text – Read the passage below and summarize it using 1 sentence (between 5 and 75 words). Type your response in the box at the bottom of the screen. 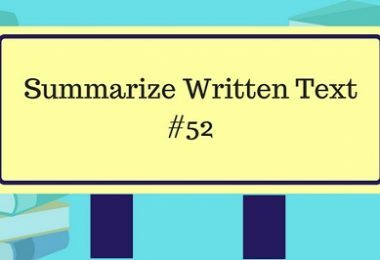 Your response will be judged on the quality of your writing and on how well your response presents the key points in the passage. Prior to the first arrival of Europeans in North America in the sixteenth century, Native Americans had traded with neighboring tribes for centuries. Their cultures valued unusual items brought from afar. Often these items, such as coastal shells traded in the landlocked Northeast, were used in the prized garments of the wealthy. When Europeans arrived on the coasts of the continent, Native Americans began to adopt European items into their clothing styles. Some of the first European, or Western, items used by Native Americans were glass beads and stroud cloth, a cheap heavy wool fabric dyed blue, red, or green and made in Stroudwater, England. By the early 1800s calico and gingham cotton cloth was also popular among Native Americans. At first, Native Americans used Western items as raw material to craft clothing in their traditional styles. Later they would embellish Western styles with beaded decoration or silver ornaments, or use Western styles in their own ways, by cutting the seat out of trousers to make leggings or sewing buttons on a garment for decoration instead of as fasteners, for example. But as more white settlers encroached on their homelands and eventually forced tribes onto reservations (public land set aside for Native Americans to live), Native Americans slowly discontinued their traditional dress for ready-made Western style clothes. There are so many goods available in the market that the producer can save the consumer a good deal of time and money by telling him exactly what he can provide. But once he has done this, effort is directed towards persuading the consumer to buy his products because they are either better or cheaper than somebody else‟s. If canvassing for the latter purpose is to achieve success, it must be appropriately presented and regularly, not sporadically, repeated. It is necessary to differentiate between information, which we may need about a new product and canvassing, which endeavors to persuade us to make a choice between various products. In the case of new commodities, advertising is necessary to introduce them to the consuming public and to explain their uses. This is particularly true of mechanical equipment with which the public may not be familiar. Advertising may also be advantageous to the consumer, because it produces an increase in consumption and production and a reduction in price. Frequent advertising may also help to stabilize demand and a stable market leads to consistent production and a reduction of waste. Before the arrival of Wuropwan, Native Americans had traded with neighboring tribes, later they adopted European items and used in their own ways by cutting trousers into leggings, As a result, Native Americans was preferring ready-made western style clothes over their traditional dress. Before European arrives in Native America, Native American trade with their local tribes after their entry they adopt the western ready made dress and as well as raw materials in garments and making a decorating dress and slowly switched up their traditional dress. Marketing is good strategy for produces, which enables reduction in price, improves production and it saves time and money for consumer, in addition advertising helps for introduction of new products, which, gives brief idea to consumer about their benefit. Before the arrival of the Europeans to North America, Native Americans used to do trade with the local tribes and later they adopted the European style of dressing by making some decoration to their traditional style of dressing and eventually Americans opted for the ready-made style. hence, for new commodities, marketing the product to the public plays a significant role. overall the traditional dress has discontinued to ready-made decorative clothes. Although, prior to the first arrival of the Europeans in North America in the sixteen century, Native Americans had traded with neighboring tribes for centuries and Native Americans began to adopt European items into their clothing styles but in 1800s, calico and gingham cotton cloth was also popular among Native Americans while they slowly discontinued their traditional dress for ready-made Western style clothes. Although, prior to the arrival of the Europeans in North America in the 16th century Native Americans had traded with neighboring tribes for centuries and they began to adopt European items into their clothing styles but by early 1800s calico and gingham cotton cloth was popular among Native Americans and when more white settlers encroached on their homelands it discontinued their traditional dress. It appears that the article usage before 1800s is incorrect. Consider making a change. Although, there are so many goods available in the market that the producer can save the consumer a good deal of time and money by telling him exactly what he can provide and if canvassing is to achieving success it must be regularly presented and repeated and advertising is also good when it requires new commodities but frequent advertising may be beneficial to help increase production and reduce waste thereby stabilizing the demand. Although, commodities in the market need people to buy them either by canvassing, persuading or by advertising for consumers to get, which must be done repeatedly and not sporadically but frequent advertising may also be beneficial to the consumers and will help stabilize the market and demand for goods thereby leading to the increase in production and reducing waste. The adverbial repeatedly appears to be misplaced in this sentence. Determine the appropriate placement for the adverb. In Advertisement the producer should present product information clearly to make an easy choice for the consumer to purchase the product, which eventually increase product sales and reduce rice, additionally, the advertisement should be broadcast frequently to stabilise the demand. Advertising regularly with precise information will do the intended job for both producers and consumers, in case of mechanical tools especially it will help reducing cost for consumer and less wastage with stable market for producer. Domestic trade between North Americans and Tribes greatly affected by the arrival of European settlers, especially clothing styles that initially modified the traditional dressing style of Americans later got replaced with ready-made Western clothes. Once requirement identified next phase involve selling the product by being comparatively dominating in price and quality what Advertisements motive is, that not only helps producer meet market demands hence minimize waste but also reduce prices for consumers. North American were dealing with tribes around for clothing until European arrived that started as raw material provider but later become the ready-made western style cloth suppliers and replaced the tribes. slowly switched to western style. Advertising helps producer convey their product details and persuade consumers to buy their products and also helps consumers in understanding the product and stabilizing price-demand ratio. Native Americans embroidered their garments with valuable item and with the arrival of Europeans, initially used European raw material to design their clothing and with time adapted to western dressing style. Native Americans adapted to European clothing style after the arrival of the Europeans, even though European items are initially considered as raw materials soon they replaced the American traditional dress with readymade western clothes. Transformation of clothing styles of Native Americans after the arrival of the Europeans, initially Europeans items are used as raw materials by Americans to craft clothing to their traditional styles, however gradually Native Americans discontinued their traditional dress for readymade western style clothes. Due to various products available in market producer can provide customers benefits as well he has to convince them for buying it but he needs to provide information and canvassing which helps to make choice whereas in news cases advertising is important as it helps in consumption and production of product. When Europeans arrived Native American started to adopt European clothing style but firstly they started to use European material as raw material for their traditional style whereas more Europeans entered in their tribes which forced them to afford western style clothes. After the sixteen century when Europeans arrived in America the native American has started adopting the European items in their clothing, in early 1800 Calico and Gingham cotton was popular, but as more of Europeans approached eventually native Americans discontinued their traditional dressing. In advertising it is necessary to differentiate between information and canvassing, however advertising is good to explain the use of mechanical product, as well as it also helpful to consumers as results in increase production, stablize market and reduce in waste. 1. Native Americans are attracted towards western material and cloths after Europeans arrive in North America, which replace Americans traditional clothes to western style clothes. 2. frequent advertising is one of the crucial tool for introducing new product into the market which helps to develop demand in the market and explain how consumer save their time and money through this product.